Matthew Sievers developed an early passion for expressing himself through art. He began studying at his father's knee in his small home town of Lewisville, Idaho. As the son of an accomplished artist, he was exposed to many different forms of art from a very young age. "Outside my bedroom door hung an ink drawing of Charlie Chaplin, and a cubist painting of a royal king and queen along with many other diverse forms of artwork." His father provided him with creative suggestions and encouragement that inspired him to develop a style that is truly unique. As a young man Matthew had a natural talent for drawing and loved sketching various figures and objects.Now as he has grown more as an artist he has developed a passion for color, composition and expression. Matthew's unique, recognizable style includes spontaneous brushwork and liberal use of the palette knife. Stacking thin layers of oil paint, he creates an unequaled depth to his landscapes and figures. Creating art is both exciting and rewarding for Matthew. He loves being able to explore new ideas and express himself through his artwork. 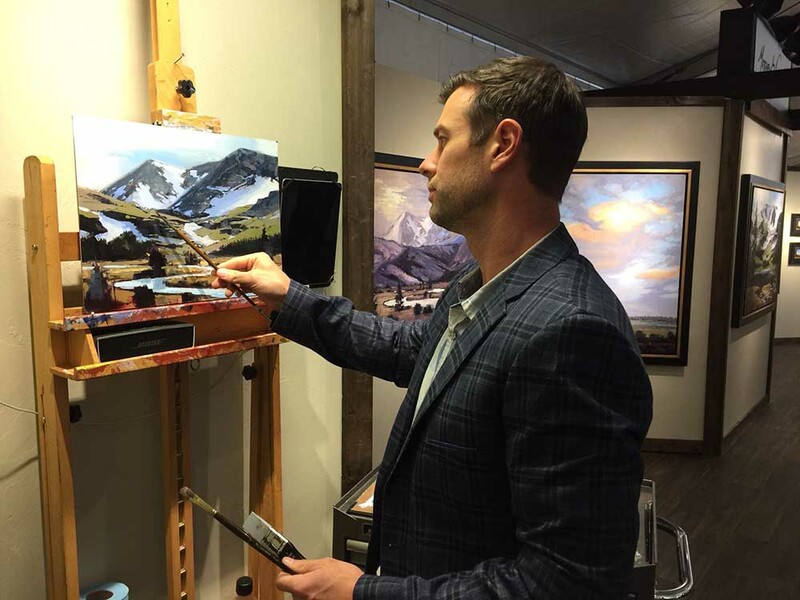 He currently resides in Idaho with his wife and four sons where he continues to follow new inspiration.